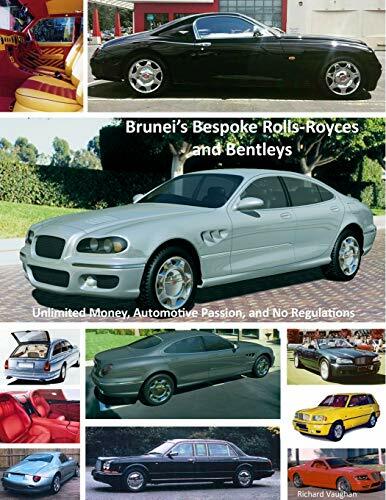 Few publications have gone into any great detail about the secretive collection of coachbuilt Rolls-Royce motorcars and Bentleys commissioned by Sultan Hassanal Bolkiah and his brother, Prince Jeffri, of Brunei. The Sultan, often described as the worldÍs richest man in the 1990s, has become a living legend for being the one person who has lived the dream that all car enthusiasts have; having the wherewithal to turn his dreams into reality, be it with cars, planes, or homes. More importantly, besides having the money to achieve his automotive dreams, he controlled all of the laws and vehicle regulations in his country. This meant that he didnÍt have to comply with the pesky regulations and safety laws that effectively ended the coachbuilding business elsewhere in the world, even for the ultra-rich. This book delves into all of the information that is known about these spectacular motorcars.